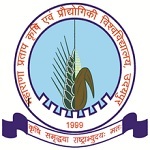 Joint Entrance Test will be acquired at the state level by willing candidates under the regulation of Maharana Pratap University of Agriculture and Technology, Udaipur Rajasthan Getting through JET 2020, aspirants can take admission in different agriculture courses. Also known as Rajasthan Joint Entrance Test (Rajasthan, JET), it is a state level entrance examination conducted to offer admissions to Food Technology, Dairy Technology, Agriculture, Horticulture and Forestry fields. Through this entrance exam, candidates qualifying this test will get admission into various government & private agriculture institutions of the state. Those not bearing JET scores will not be accepted come what may. The application form will be provided a the website for all students wanting to fill the application form. The form filling will be done at the start of March 2020. After a particular date in April, the form will not be available. In the application form, it would be imperative to fill all personal and academic details such as aspirant’s name, date of birth, category, gender, study certificate, domicile, parent’s name and several other details relevant to your identification. Candidates can fill the application form from the first week of March 2020 till the second week of April 2020. The form submission will be done after checking any flaw in the details. Link scanned images of signature and photograph in a precise and careful manner. Students are informed to keep the print of the filled application form. Candidates must upload photograph & signature in the given format. Candidates are advised to keep a print out of the filled application form till admission in the institute/college. Aspirants coming under General/OBC/SBC will require submitting RS.2800.Aspirants coming under SC/ST/PC will require submitting RS.1400. Applicants are advised to check the eligibility criteria for JET to take admission in the course favored by you. Those who are not able to meet the eligibility criteria will not be given admission. Students who have acquired their education in the Rajasthan or are the permanent resident of the state will be eligible for the JET 2020. The maximum age criteria will be 25 years applicable on 1/January/2020. 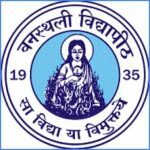 The eligibility of students will only be considered when they have completed their 12th exam with from a well-reputed board with 50% marks, and reserved category will need to score 45%. Qualification: Candidates must have passed 12th or equivalent examination from Rajasthan, Ajmer or any other equivalent board. Domicile: Candidates who will have domicile of Rajasthan state will only be eligible to apply. Mandatory Subjects: Candidates must have passed the 12th level with Agriculture, Biology, Physics, Chemistry and Mathematics subject. Percentage: Candidates will have to pass with 50% aggregate marks to be eligible to apply. Relaxation: There will be 5% relaxation in the qualifying marks for candidates belonging to SC/ST/OBC/SBC category. Age Limit: The maximum age of applying candidates should be 25 years as on 1/01/2020. Appearing: Candidates appearing in their 12th level are also eligible to apply. JET 2020 Exam Pattern will include all factors through which students who are willing to Apply for the exam will be able to get good scores. The exam criteria are consisting of exam schedule, exam timing, distribution of questions in the exam. 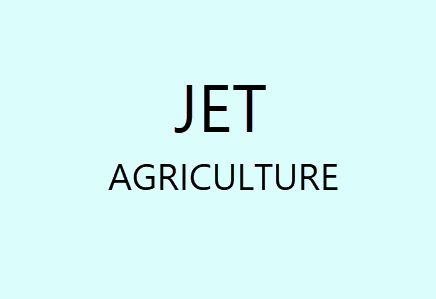 The JET Agriculture 2020 test will be organized in pen and paper mode. The questions set in the exam will be 200. The exam will be consisting of five segments- Chemistry, Physics, Mathematics, Biology, and Agriculture. Each segment will be distributed into 40 marks. Marking Scheme: After attempting one correct answer, four marks will be given. Exam Mode: Rajasthan JET 2020 will be conducted in offline mode. 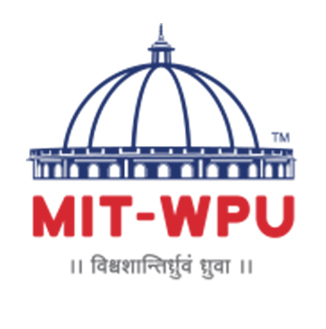 Medium: The question paper will be available in Bilingual, i.e., both in English and Hindi medium. Exam Duration: The total time duration of the test will be of 2 hours. Question Type: The paper will contain multiple choice questions in the paper. Total Questions: Total of 200 questions will be there in the exam. Negative Marking: 1 mark will get deducted for each wrong answer. ET Agriculture 2020 Syllabus will comprise of various topics from the subjects of Physics, Mathematics, Chemistry, Biology, and Agriculture. Candidates are advised to go through the topics from the syllabus of Class 11th& 12th for various subjects. For Agriculture subject, the topics will be from General Proficiency & General knowledge in Agriculture, etc. For Biology subject, the topics will be from Environmental Biology, Botany & Human Welfare, Unity of Life, Continuity of Life, Plant Physiology, Invertebrates, and Vertebrates, etc. For Chemistry subject, the topics will be from Structure of Atom, Colloidal State of Matter, Valency of Carbon & Hybridization, Chemical Bonding, etc. For Mathematics, the topics will be from Algebra of Complex Number, Relations & Functions, Matrices, Vectors, Geometry, Differentiation, Integration and much more. For Physics, the topics will be from Dynamic of Particle, Rotational Motion, Thermodynamics, Waves, Electrostatics and much more. The topics in the syllabus will be varying from Physics, Biology, Agriculture, Chemistry and Mathematics subjects. The syllabus will be structured by 11th and 12th. For sure success in the exam, it is just to go through each chapter and topic consisting of the syllabus. Know the full program and the exam template for preparation. Practice different questions from different books, including the textbook. Make an order about the basics. Follow the study material and the correct books. 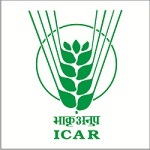 Aspirants filling the application form will be able to access the Admit Card by online at the website of authority.JET Agriculture 2020 Admit Card will be released in online mode. The admit card will be made available a few days before the exam .i.e. in the third week of May 2020. No candidates will get admit card through post. The admit card will mention details of student’s name, roll number, exam venue, date & timing, etc. in a specific manner. So, it will be good to show discretion in handling the admit card. Keep it safe until you are done with the exam. Get the signature of examiner before commencing the exam. By carrying admit card on the examination day, you will be following the instruction of officials. Some of the ID proofs are also brought to the decided place of the exam. Students must keep in mind that admit card will not be made available through the post. JET Agriculture 2020 Answer Key will be made available through online mode. The answer key will release by last week of May 2020. Candidates will also be able to file the objection on provided answer key online.Same as question paper, answer key will also release for both English & Hindi Languages paper. Candidates will be able to calculate their expected scores and know their qualifying status of the test. Candidates will have to secure their login details as such as registration number and password to generate the answer key. Candidates will only be able to file objection till May 2020. After that, no objections will be accepted. JET Agriculture 2020 Cut Off will be released through online mode. The cut-off will be released by last week of June 2020. The cut off will be released category wise for all institutions for all qualified candidates. Every institution will have its cut-off, so, it may vary for each institution. The cut off will be prepared based on some candidates appearing for an exam, the number of candidates qualified, the difficulty level of exam, previous year cut-off trends and some seats available, etc. The result will be publicized from May 2020 for all students who have appeared for the exam. The result will only appear for those students who have participated in the exam. Details regarding result will be displayed through scorecard and rank list. Students qualifying the test successfully will be included in the rank list. Those candidates included in the rank list will be called for the counseling process. The result can be attained online. 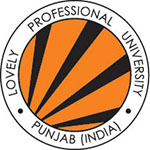 Students may access their result by using roll number and other details. The performance and overall marks become known by grabbing the result in hand. After initializing the result from the website, it will be requiring taking its many copies for showing at the time of counseling. After a few days of the declaration of JET result, students will get their merit list which has been compiled considering the scores of students. The students who got high rank will have the greater chance of succeeding in gaining admission. JET Agriculture 2020 Result will be declared after the successful completion of the written examination. The result will be released in the last week of May 2020 or first week of June 2020. Candidates will be able to check their results online by entering login details. The aspirants who have been eligible after achieving the qualifying scores will be decided on participating in counseling of JET 2020 from June 2020.JET Agriculture 2020 Counselling will be organized in the first week of June 2020. Candidates who will obtain qualifying marks in the Rajasthan JET 2020 exam will be considered eligible for counseling & admission procedure. The counseling process will be held in different rounds. For participating in the counseling, aspirants will need to register with important details and submit the counseling fee. After the registration, aspirants will need to fill in the course and college name following preference. At the time of filing your choices, you will be given many options in course and college to select for. What is required to be done is give as many options as you like? In accord with rank, selection of choices and availability of seats at colleges, seats will be provided to aspirants. They should report to the distributed college after getting done with the admission process and seat allotment. Candidates were having any other queries regarding JET Agriculture 2020, can ask us by leaving their queries below.